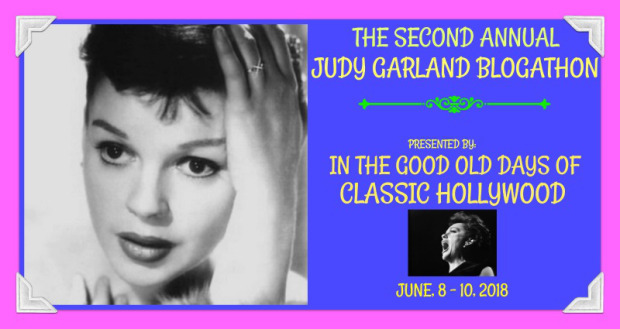 This is the first of three posts dedicated to the Second Annual Judy Garland Blogathon being held over at In The Good Old Days of Hollywood. Tnx Crystal for letting me take part! Brief Synopsis – A aspiring singer and actress is taken under the wing of a famous actor who must dela with the fact that his own career is in a downward spiral. My Take on it – This is a film that I’ve been interested in seeing ever since I saw the original a few months ago and loved it. They do a nice job of adapting the story to the 1950’s but it still isn’t as powerful as the original was. Judy Garland and James Mason are both great in the leads here and both deservingly were Oscar nominated for their roles. The story itself is quite timeless and that perhaps is one of the reasons that it has been remade numerous times. The newest version of the story is expected to be out later this year and it is highly anticipated by many because of its use of this kind of story. I think that the reason that this version isn’t as good as the original is the fact that it relies too heavily on the musical aspects of it all which largely had to do with the fact that it was made during the era of the Hollywood musicals of the 50’s. Bottom Line – Nice adaptation of this story but as good as it is, it still isn’t as good as the original. Garland and Mason were both nominated for Oscars for their roles, but neither manages to win despite giving great performances. The story is definitely timeless and the fact that it has been remade numerous times (including a new version to come out this year) says so much about the storyline. I believe that the musical aspects of this film don’t help it as much as it probably did when it came out during the decade of musicals. Recommended! Quite a laundry list of rejection. Had Sinatra accepted – they might’ve had something closer to the Streisand version made 20 years later. guess we should be grateful…. Pingback: THE SECOND ANNUAL JUDY GARLAND BLOGATHON IS HERE – In The Good Old Days Of Classic Hollywood. Love this version of the film the most, even though the 1937 version is outstanding too. Garland singing Man That Got Away is so iconic! The Streisand version was lacking in dramatic punch; hopefully the Bradley Cooper-Gaga remake will be worth a watch too. yea, i also cant wait to see how that version turns out. Hi Rob. Thanks so much for participating in the blogathon. 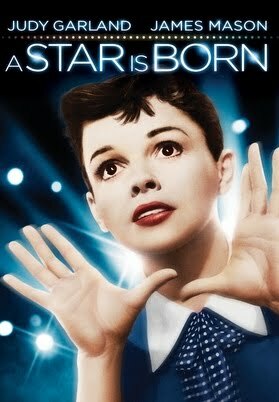 “A Star Is Born” is my favorite Judy movie. I had the pleasure of seeing it on the big screen a few months ago. A wonderful experience. I’m so glad you got to to see the film. Great post. I’ve also announced my next blogathon. I would love to invite you to participate. Here is the link below.